On arrival in Mumbai our representative will meet you and help you check into the hotel, where your rooms have already been booked. A traditional welcome awaits you at the hotel. Check in relax and stay overnight. In the morning after breakfast, we proceed for a tour of Mumbai city. See the Gateway of India, a landmark in Mumbai and enjoy a boat cruise to the Elephanta Caves. These 7th century rock-cut cave temples are located on top of a hill on an island in the sea, at a distance of 9 Km from the coast. In the evening you will see a Hindi film set and experience the glamour of India's film industry. Return to your hotel and stay overnight. Travel to the airport to board the flight to Goa. Arrive in Goa and check into your hotel and refresh yourself. Then explore the scenic beauty around you or relax on the beach. 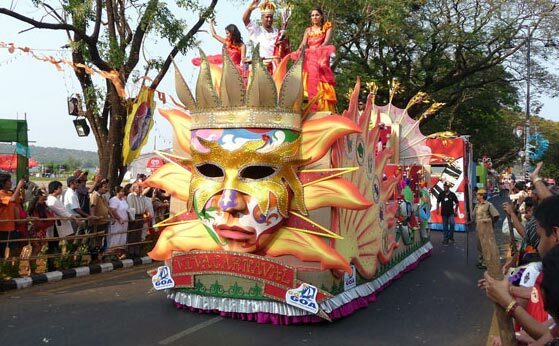 In the evening enjoy a Goan Carnival Theme Dinner and enjoy delicious Goan Cuisine. Return to your hotel and stay overnight. Enjoy a daylong tour of the heritage sights of North Goa in the morning and South Goa in the afternoon. Return to your hotel and enjoy a Goan Fishing Village Theme Dinner with folk music and dances. Stay overnight at the hotel. Enjoy a relaxed day on the beaches of Goa. In the evening you can feast on delicious seafood at the beach barbeque, with a campfire and a musician singing lilting Goan melodies under the starlit sky. Return to your hotel and stay overnight. In the morning you board the flight to Cochin. On arrival in Cochin our representative will help you transfer to your hotel where you can relax for a while. In the afternoon enjoy a tour of Cochin seeing the tourist attractions of this city also known as "The Queen of the Arabian Sea.' Visit the Jewish Synagogue, which is over 400 years old and is decorated with Belgian chandeliers and hand painted Chinese tiles. Other attractions of Cochin are the St Francis Church and the Chinese fishing nets in Cochin harbor. In the evening enjoy a moonlit boat cruise across the waters of Cochin and see a spectacular firework display on nearby islands. Return to your hotel to stay overnight. After breakfast embark on a houseboat cruise on Kerala Backwaters. Travel in Ketuvallams - traditional houseboats used to transport grain, which have been converted into luxury craft. See the traditional life of the local people along the banks of the waterways. Marvel at the beautiful landscape of coconut trees, paddy fields and observe the water birds and otters in the water. Return to your hotel to stay overnight. Travel to the airport to board the flight for Mumbai. On arrival in Mumbai you can check into the hotel and relax. Later enjoy an excursion along Mumbai's sidewalks. Experience the busy street life and enjoy eating delicious Indian cuisine. Later transfer to the airport to board the flight for your onward journey.